This is a valuable moment to recall the Trump administration's public embrace of separating families at the U.S.-Mexico border. It's valuable to recall it because the policy has come under so much criticism that the administration has begun to deny the policy exists. 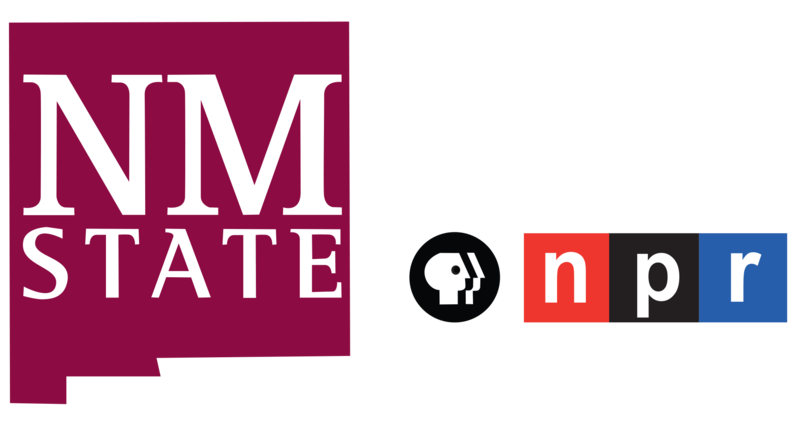 It is, however, all on the record, much of it broadcast on this program, as we will discuss with NPR's Scott Detrow, who's in our studio. Scott, good morning. INSKEEP: So let's listen. Who first described this zero-tolerance policy of arresting everybody who crossed the border illegally, which meant in many cases taking children away? DETROW: Let's start with the Attorney General Jeff Sessions, an immigration hard-liner. Here he is speaking on May 7. JEFF SESSIONS: If you're smuggling a child, then we're going to prosecute you. And that child will be separated from you, probably, as required by law. If you don't want your child to be separated, then don't bring him across the border illegally. INSKEEP: So they're very clear. Although it is clear also that that's not necessarily required by law. Previous administrations did something different. But they're making it clear they're going to separate the children. Who else has talked about this? DETROW: Well, John Kelly, the chief of staff, said in an interview with NPR's John Burnett that the administration sees it as a deterrent. This is a long clip, but it's worth taking a listen to. KELLY: Could be a tough deterrent, would be a tough deterrent, a much faster turnaround on asylum-seekers. BURNETT: Even though people say that's cruel and heartless to take a mother away from her children. KELLY: Yeah. I think cruel and heartless - I wouldn't put it quite that way. The children will be taken care of. KELLY: They're put into foster care or whatever. But the big point is they elected to come illegally into the United States. And this is a technique that no one hopes will be used extensively or for very long. INSKEEP: So a deterrent to children put into foster care or whatever, in Kelly's words. Has the administration continued to push this policy? DETROW: They have. Just Friday on MORNING EDITION, Ryan Patrick, the U.S. attorney for the Southern District of Texas, said this. INSKEEP: But let's remember also you can follow the law in a different way. Previous administrations have. This is a policy choice. PATRICK: Well, it is a policy choice by the president and by the attorney general. INSKEEP: Policy choice by the president and the attorney general. But over the weekend, the criticism became so fierce that Kirstjen Nielsen, the secretary of Homeland Security whose people are largely responsible for implementing this policy, sends out a tweet. Quote, "we do not have a policy of separating families at the border. Period." It's clear they do have a policy. So when she falsely denies it, what's happening here? DETROW: Well, you've seen the administration come under blunt, intense criticism from people who are usually Trump allies or people who don't weigh in on politics at all. Just in the last few days, former first lady Laura Bush called this cruel and immoral. New York Cardinal Timothy Dolan, who's the most high-profile American conservative voice in the Catholic Church, he said this is unjust, un-American and unbiblical. Even evangelical leaders like Franklin Graham have criticized this in similar language. INSKEEP: President Trump, I guess we should mention, keeps insisting that Democrats are to blame for this policy, which is also false. It seems this is a policy choice by the administration. But what is the president up to? He is insisting that there ought to be a change in the law in some way. DETROW: Well, it's interesting. You have the - many people in the Trump administration denying that they're using this as some sort of political leverage in the broader conversation about an immigration bill, but President Trump is leaning into that pretty hard. Here's a couple tweets from this weekend. This is one - the Democrats should get together with their Republican counterparts and work something on border security and safety. Don't wait until after the election because you're going to lose. He also wrote, Democrats can fix their forced family breakup at the border by working with Republicans on new legislation. INSKEEP: Oh, which is essentially saying, make me do this by changing the law in some way but as part of a broader bill that includes things like funding for a wall that I want. So what is Congress actually going to do here, if anything? DETROW: This was already going to be a big week for immigration. The House is going to hold votes on a couple different immigration bills aimed at dealing with Deferred Action for Childhood Arrivals, creating some sort of permanent protection, and also increasing border security. The issue is that for months now Congress has not been able to find a way to satisfy people who want a fix for DACA and people who want hard-line immigration changes. It's hard to do both. They haven't had the votes to do both yet. They're going to try again this week. INSKEEP: And now one bill would in some way ban family separation, although it would allow the zero-tolerance policy of arresting everybody to continue. DETROW: The short summary is that children would be kept with their parents but within ICE detention facilities.